Colleen Power revient avec son tout nouvel album en français ‘Le Bonheur Domestique’. La gagnante, cinq fois du prix MusicNL, s’est entourée encore d’incroyables musiciens terre-neuviens qui aident transporter sa belle voix à travers ses chansons. Le Bonheur Domestique offre tous les ingrédients à faire le ménage de printemps: un concert d’électroménagers, le bruit d’enfants, un rêve de s’échapper à Montréal. Un clin d’œil humoristique, mais charment sur l’essentiel de la vie. Depuis la sortie de son premier disque francophone, Terre-Neuvienne, Colleen a connu grand succès. Elle a joué au prestigieux Place des Arts à Montréal dans la Série Découvertes de SACEF, à Francofête en Acadie, à l’émission télévision Brio de Radio-Canada et à ‘Vous Êtes Ici’ à Radio-Canada Montréal. Sa chanson “Aucune Idée” a passé quelques semaines en 4e position sur le Top 20 de Radio-Canada Manitoba. En 2009, Colleen a gagné l’Artiste Maritime de l’année au Rendez-vous de la Chanson Vivante à Montréal. Elle joue chaque année au chapiteau Francophone au Festival Folk de Terre-Neuve et du Labrador. 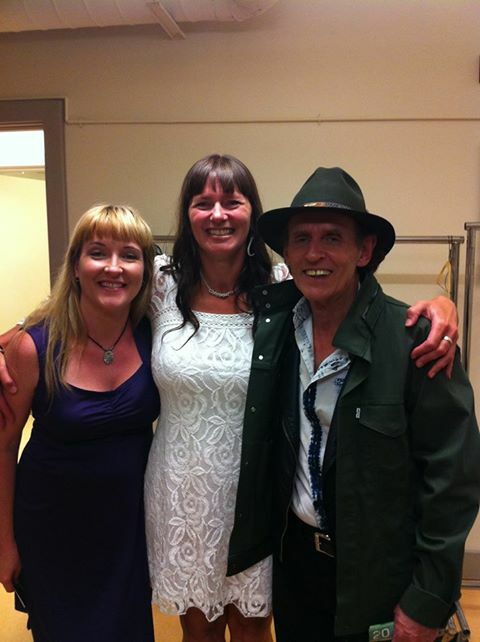 with Sheilagh O’Leary and Ron Hynes. 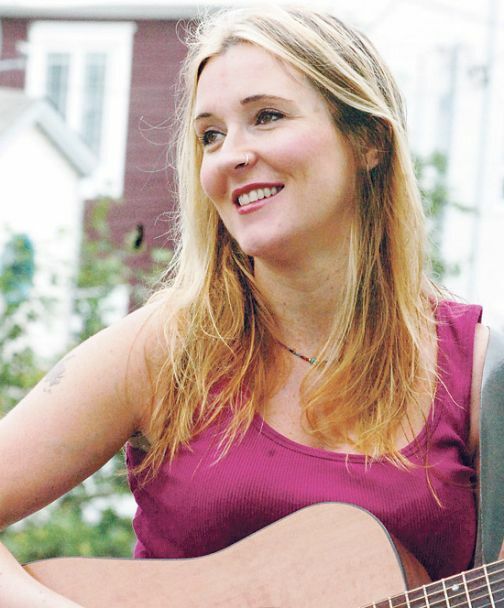 Newfoundland singer/songwriter Colleen Power’s award-winning debut recording, “Lucky You Are” in 2000 quickly showed that she is one of Canada’s finest songwriters. It was Reverb magazine’s number one album to buy for 2000. Three songs were featured in CTV’s “The Associates” and several tracks received extensive airplay on national and international radio stations. Following its release, in 2001, Colleen won Music NL Female and Alternative artist of the year and received three East Coast Music Award nominations. The CD was named one of the top ten Newfoundland Albums of All Time by Alan Doyle of Great Big Sea in “The Top 100 Canadian Albums” by Bob Mersereau. 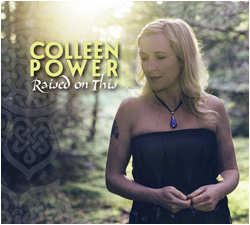 Colleen’s sophomore release, “Face and Eyes” won the Music Newfoundland and Labrador 2004 Alternative Artist of the year, received three ECMA nominations and was named in the Halifax Chronicle Herald as one of Stephen Cooke’s Top Ten albums of 2005. “Na Na Song”, the first single, went to number one on the nationally syndicated East Coast Countdown. In July 2006, Colleen released “Terre-Neuvienne”, her first full length French CD. She was chosen to represent Atlantic Canada in SACEF’s Serie Découvertes at the prestigious Place des Arts in Montreal in January 2007. The first single, Aucune Idée spent 10 weeks at number 4 and 5 weeks in the number 5 position in Radio-Canada Manitoba’s Top 20 countdown. 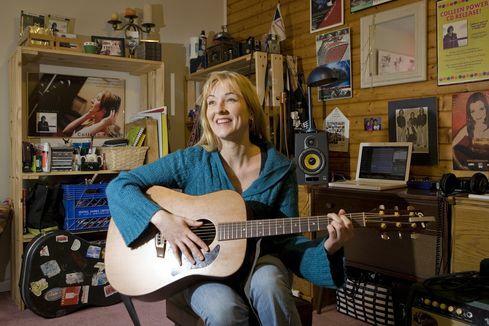 In Decmeber 2009, Colleen was named Maritime Artist of the Year at Montreal’s Rendez-vous de la Chanson Vivante, an exclusively Francophone Emerging songwriter showcase. Colleen’s fourth CD, Rejects, a collection of weird and humorous songs won her Alternative Artist of the Year once again in November 2009. Videos for “New Townie Man”, “Dead Bird in the Garbage” and “Sketchy Jerome” have become youtube phenomena. In August, 2010, Colleen teamed up with the ECMA Award-winning Newfoundland bluegrass band, Crooked Stovepipe to record a children’s bluegrass CD, “For Little Ones”. The CD includes bluegrass versions of children’s favorites, Colleen’s original songs for little ones and songs by Tommy Sands, Ron Hynes, Malvina Reynolds and Aneirin Thomas. She shares the 2011 MusicNL Award for Female Artist of the Year with Crooked Stovepipe for this CD. single, “Mes Électroménagers” reached number 4 on CKRA in Quebec City. Colleen showcased to rave reviews at the 17th Edition of Francofête en Acadie in November, 2013. She will be the only Newfoundlander/Labradorian to perform at the International Acadian Congres to be held in August 2014 In Edmunston New Brunswick, its first time in Canada. Colleen is also enjoying performing in a brand new band, The Sauce, alongside Newfoundland rock pioneer, Liz Solo, with Mike Kean and April Crocker.